If you are not getting calls for your job applications, you may be making one or more of these 7 big resume mistakes. Learn how to present your y knowledge and experience in a clean and easy way to read, so hiring managers don’t reject your resume. Hiring managers can tell a lot about a candidate simply from looking at a resume. They don’t even need to read it. Resume mistakes below will tell a hiring manager that you are not the right fit; do not have corporate acumen and understand requirements of working in a corporate environment. These mistakes will also indicate that you do not have basic business document creation skills and will not fit in with the corporate culture. When you compose your resume, it is your job to make their selecting your profile from hundreds of other applicants a no-brainer. You need to signal to the hiring manager that you will be the right fit for the role. Position yourself as the right candidate. 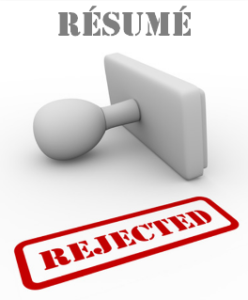 Before sending out another application, ensure you are not making these resume mistakes. This makes reading or visual scanning of the resume very difficult. It shows a candidate’s disregard for the hiring manager’s job of having to read hundreds of resumes every day. It also shows that the candidate doesn’t have the required written communication skills. Both of those immediately disqualify you from the process. This makes the resume appear busy, cluttered and makes it difficult to read. It also shows that the candidate doesn’t know the basic document design rules. This is a significant offence that will eliminate you from the recruitment process. To understand how a professional resume should look and fill, download a free professional resume template here. It’s a Word document template that you can fashion for your own use. Resume is intended as a summary. Hence the word – resume. It’s not your autobiography. Even if you have 20+ years of experience, 7 degrees, can code in 6 different programming languages and worked on a hundred different projects, your resume should only contain the most relevant to the job summary. Hiring mangers only consider relevant information. Anything longer than 2 pages, makes hiring managers question a candidate’s ability to communicate concisely. Photos are not customary on resumes in North America. This is not a capital offence. However, this shows that you are don’t know about the north American and Canadian corporate cultures. This may cause issues, when you get hired. To succeed in any corporate environment, or to even gain an entry into it, you must play by the rules of that environment. Including photos on your resume shows that you don’t know the rules. This will, most likely, disqualify you. The maximum number of informational segments a human brain can absorb at a time is seven. Any more than that and it gets lost or ignored. If you are using more than seven chunks of information or seven bullet points, you are wasting your time and resume space on information. It is a basic assumption that if you applying for a job in an English speaking country, you can speak English. It’s redundant to write it down and is a simple space waster. Even if you speak other languages… it is not an asset on your application. Languages are only useful if you are applying for a job in a bilingual environment or a specific ethnic community. 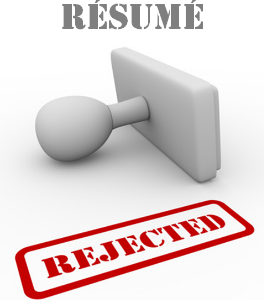 Save resume real estate and only list additional languages if the job specifically asks for it. It’s great that you can use Photoshop like no one’s business. But… unless you are applying for a graphic designer job, listing this software won’t score you any points. The fact that 20 years ago you worked on Windows 98 is completely irrelevant in today’s environment. So, just drop it. Again, save the limited resume real estate space and only include the software that is relevant to the job you are applying for. Now, go and take your own resume and go over it to ensure that you are not making these big resume mistakes. Use the template that you can download here, to create your own professional resume that will look polished and professional. Signal to the hiring managers that you have the right corporate acumen, document creation skills as well as understanding and appreciation for the corporate culture.